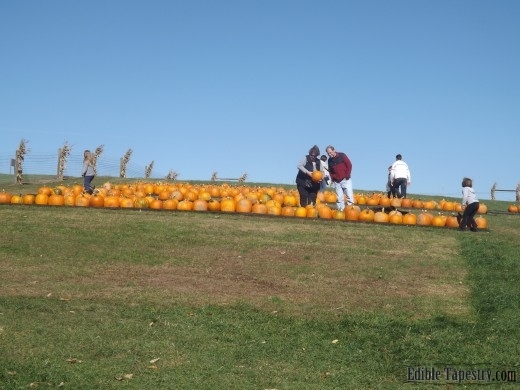 U Pick Your Own Autumn Fun at Triple B Farms near Pittsburgh. 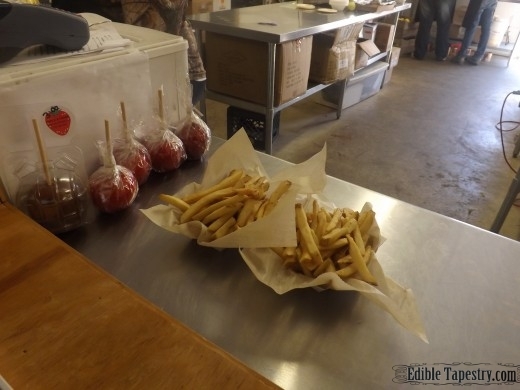 Thanks to a delay in parts we needed to make a few repairs to our van, my family and I had to postpone our trip south to do our annual apple picking at Coston Farms near my favorite Appalachian Mountain town of Chimney Rock, NC. 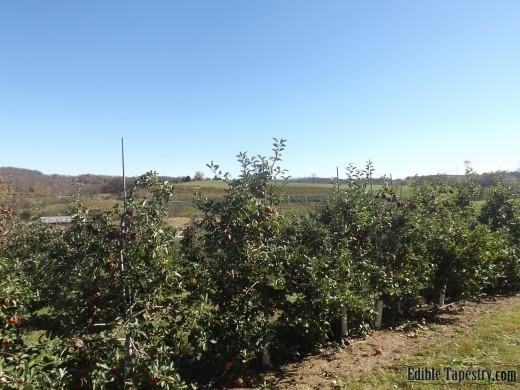 I was so disappointed, but my husband surprised me by finding a local u-pick apple farm. 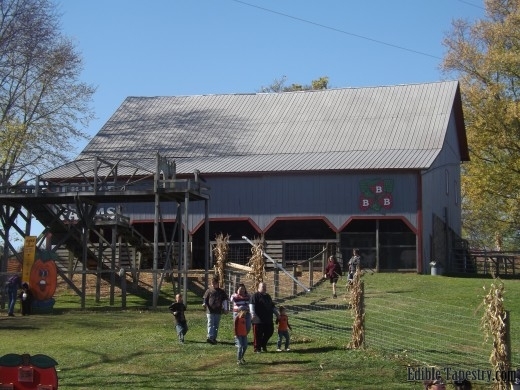 Though I was skeptical when he first brought it up, certain that no farm north of the Mason-Dixon could compare to the Southern charm of Coston, I agreed that we should give it a shot to keep up our family’s tradition. 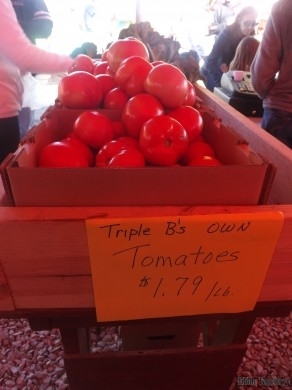 Triple B Farms in Monongahela, PA, just a short drive from Pittsburgh, didn’t disappoint. 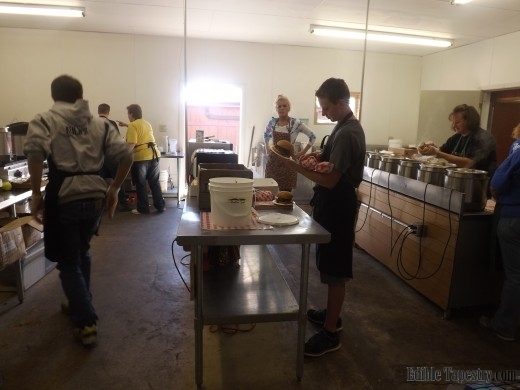 Teeming with adult visitors, and even more children, during their Fall Festival, the sprawling acreage that makes up the farm has everything the u-picker could want. Strawberries in the summer; peach, apples, pumpkins, and corn at other times throughout the year. 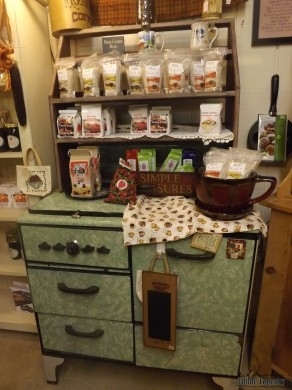 …along with fresh produce, make up the retail section of the compound. What is also available at Triple B is the mountain charm I was so desperately hoping for. 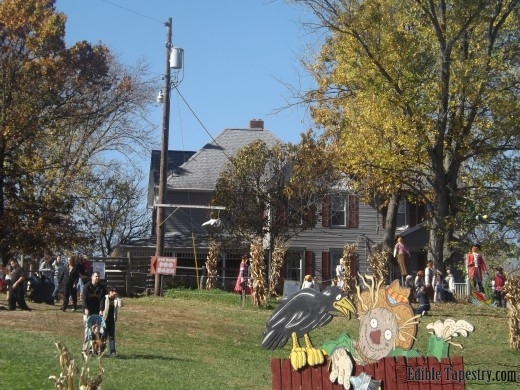 Big, multi-colored trees, still covered in fall leaves, sheltered the various barns and outbuildings that house the farm’s shops, animals, and concession stands, and led up to the tallest point of the farm where a lovely farmhouse was perched. 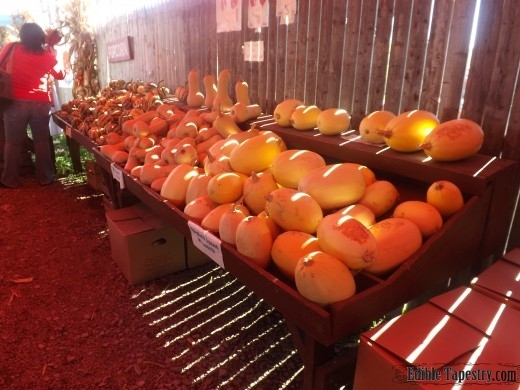 Fat pumpkins, waiting to be purchased, were lined up in rows along the top of another hill. Tractors pulling hay wagons of smiling people cruised through the apple orchards and past a corn maize full of adventurers, and the smell of spicy apple treats and sizzling meats was everywhere. 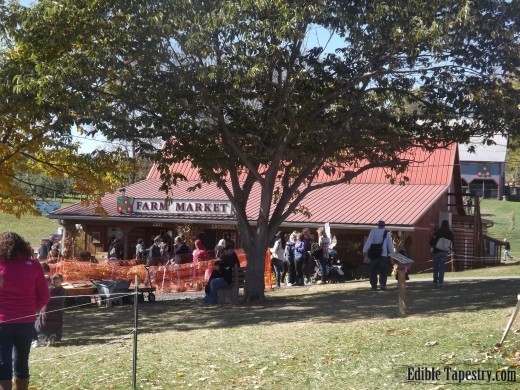 Since we’d had very limited choices for places to stop for lunch on the way to the farm, we headed straight for the food barn. Though we were certain that we’d only find exorbitantly priced hot dogs and boxed popcorn available in such a touristy location, what we found was a list of surprisingly low priced, interesting menu options. 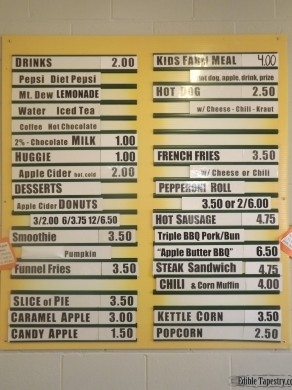 I still haven’t figured out what a “huggie” is, I know I’ve never seen a diaper on a menu before, but maybe after a few more months living in the area I’ll learn. Yes, there were hot dogs and popped corn on the menu, but I don’t think the prices were too bad at all. We’d already learned from experience that Pennslyvanians LOVE their French fries, and since they are also known for their steak sandwiches, we all decided to order one of each with a cold drink. 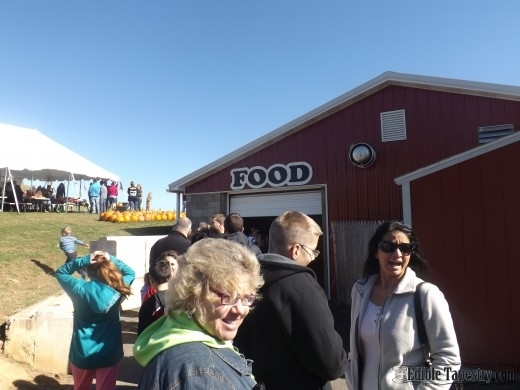 Because I wasn’t going to be able to buy my annual fried pie from Coston Farms, I added a bag of apple cider doughnuts to our order when we made our way to the ordering counter, after waiting in a very long line that moved relatively quickly. 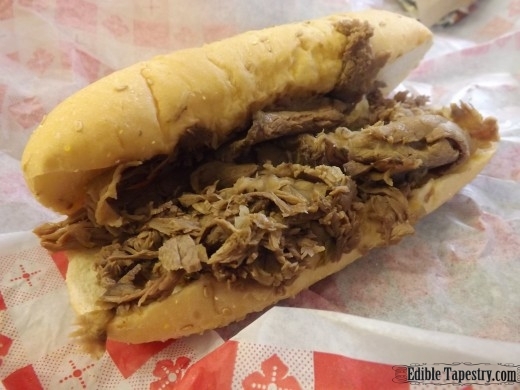 There was nothing on the steak sandwich, such as cheese, peppers, or onions, but when I took my first bite, I was pleasantly surprised to find the meat was super flavorful, as if it had been held in its roasting juices. And the fries! Huge basket. I wonder if the original five guys, who started the burger chain, hail from Pennsylvania. 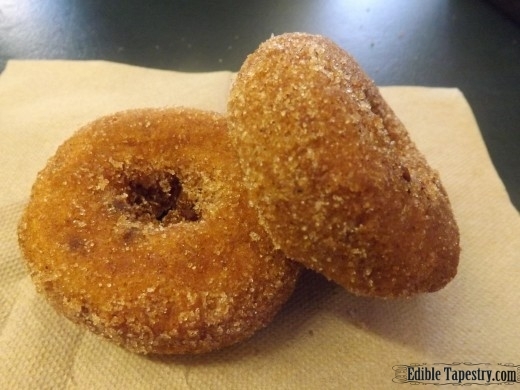 The doughnuts were coated in cinnamon sugar and just melted in our mouths. YUM. So, with our bellies full, but me still homesick and feeling, all of a sudden, all of the things I’d lost in moving from my big, beautiful Smoky Mountains, we headed for the treeline. 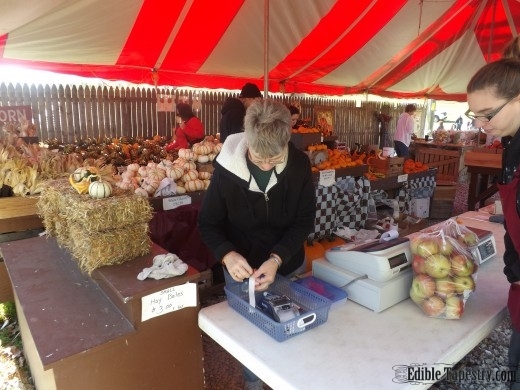 The apple picking prices were much higher than we were used to, but since the idea was to continue our tradition of physically pulling the apples from the trees as a family, we didn’t balk. 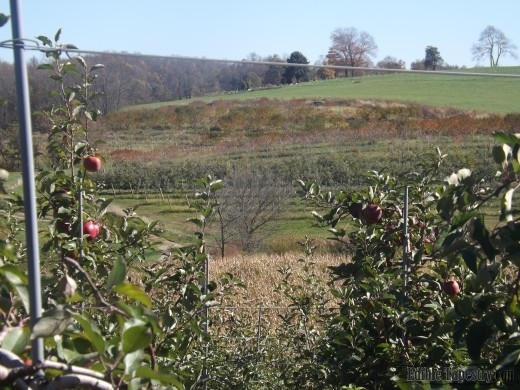 As we were hurrying up the hill, a young farm worker stopped us to tell us what kind of apples were available, describing each one so we could better choose apples to meet our needs. Because they had some of the same varieties available at our usual u-pick place down south I wasn’t paying much attention to what he was saying until he pointed to my husband’s shirt which read, Vegetarian…old Indian word for bad hunter. Chimney Rock, NC, and said, “I like your shirt. I’m from around Chimney Rock.” Well, that did it. What were the odds?! I almost lost it right there, feeling more homesick than ever. 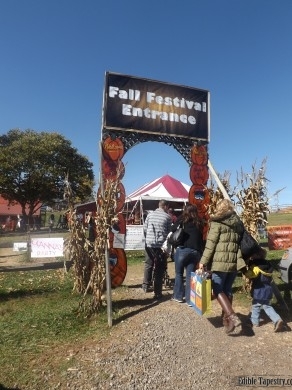 But when my husband started talking to him a little bit more, and learned that he worked the apple farms near Chimney Rock, and was as homesick as I was, I took it as a sign that we had gone to the right farm and focused on enjoying my time with my boys, filling our bags with juicy apples. 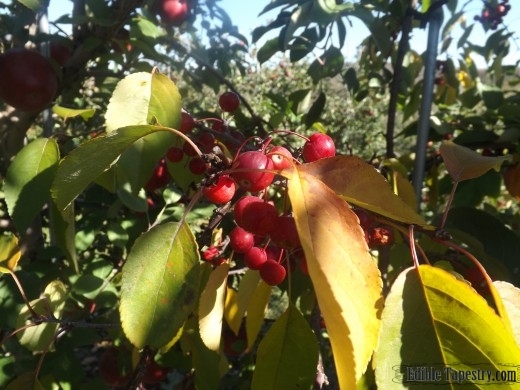 As we strolled through the first few rows of trees, I was surprised to see crab apple trees interspersed among the Cameos. No one had said anything about crab apples. I was so excited to see them, and to taste them, which we had been told was allowed. My husband went to back to Chimney Rock Boy and asked if we were allowed to pick them, too. He was surprised because no one had ever asked him that, and because he said the growers used them for fertilizer, but said we could. 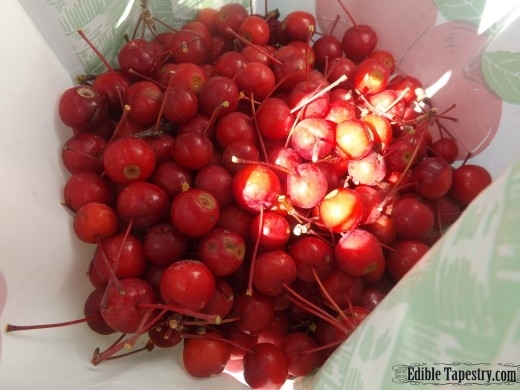 So we proceeded to fill a half peck bag with the bright little apples. Which means that I have a lot of jelly making ahead of me. Never a bad thing. What fun! 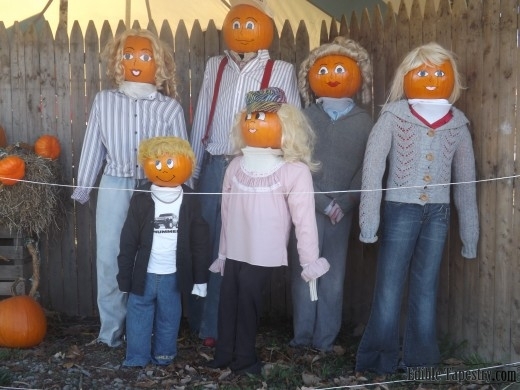 And so nice that, while I felt so far from home, because of Triple B we were able to do one of our favorite fall activities together, and add even more elements to our tradition. Thank you for coming! Beautiful story from a great family! Thank you for including us on your list of experiences!